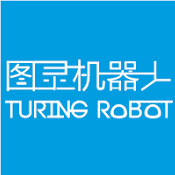 Turing Robot is a ChineseChinese AI Robot company. Provider of leading AI Robot operating system. It is the first company committed in research on the commercialization of artificial intelligence in China. Its AI research includes semantic recognition, cognitive computing, human-machine interaction and machine learning. Turing Robot is a Chinese AI Robot company. Provider of leading AI Robot operating system. It is the first company committed in research on the commercialization of artificial intelligence in ChinaChina. Its AI research includes semantic recognition, cognitive computing, human-machine interaction and machine learning. Zhichen Yu is the founder and CEO of Turing Robot. It was founded in Haidian, BeijingBeijing, China on January 1, 2010. In 2012, it released the Wormhole Voice Assistant application, the first Chinese intelligence-based voice assistant application. In 2014, it released the first open platform for AI robots, also known as the Turing Robot and in November 2015, it released the Turing OS. Turing Robot is a Chinese AI Robot company. Provider of leading AI Robot operating systemRobot operating system. It is the first company committed in research on the commercialization of artificial intelligence in China. Its AI research includes semantic recognition, cognitive computing, human-machine interaction and machine learning.